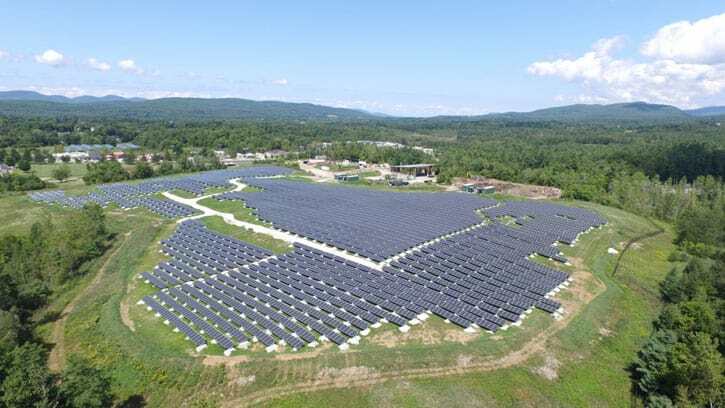 RUTLAND — On Oct. 8, Sanborn Head released a statement and photos congratulating the City of Rutland for becoming the Solar Capital of New England. Sanborn Head said it was proud to have been part of this exciting time for Rutland. They provided civil, stormwater, and geotechnical site design and support for a handful of the solar projects in and around Rutland, including one of the state’s largest projects: Stafford Hill Solar Farm, which produces 2.5 MW of energy, pairing solar generation with battery storage to power an emergency shelter at Rutland High School. On Sept. 15, 2015, Sanborn Head attended a block party held by Green Mountain Power (GMP) in celebration of the announcement that the City of Rutland is the official Solar Generation Capital of New England. Project team members of Stafford Hill Solar Farm were in attendance, including Sanborn Head’s Brian Beaudoin, P.E., Rod Viens of groSolar, and Dan Mackey of Green Mountain Power.